Players are excited to try out these shiny new toys. Ubisoft revealed and released the new Year Four Season One Pro League sets for Rainbow Six Siege this morning. The Year Four Season One sets include Maverick, Clash, Kaid, and Nomad. Each operator is gifted a black, gold, and white colorway skin, as well as gun skins and a golden operator chibi. Players can choose to purchase each Pro League set individually for $7.99 USD, or buy all of the sets in a bundle for $15.99 USD. But buying the bundle will save you a bit of money if you plan on purchasing two or more sets. It’ll be interesting to see how many players are donning the new Pro League sets, since some operators released to less-than-stellar reactions from the community. 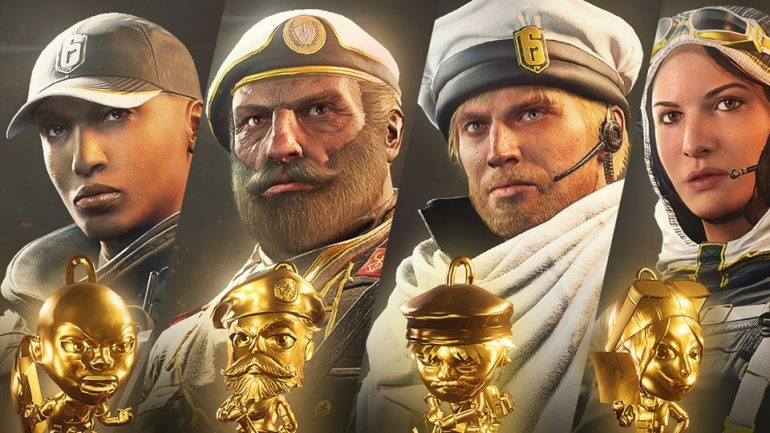 Ubisoft did a fine job of updating and balancing these new operators after players shared their feedback and opinions. These changes further the goodwill Ubisoft has garnered this past year, and the developer remains a solid example of how to support a game post-launch. As with any cosmetic item in Siege, these sets have no direct effect on gameplay. This supports Ubisoft’s trend of not reinforcing gameplay behind paywalls. Players can pick up their desired Pro League sets from the Ubisoft Store.